I have been staring wistfully into the middle distance and dreaming of a trip to Paris ever since Sian showed me this Paris Sketchbook earlier this week. 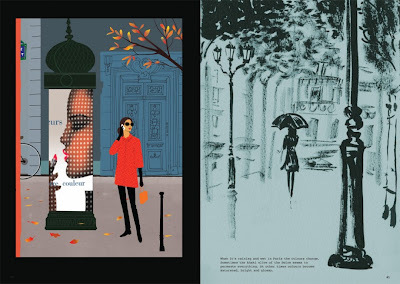 By fashion illustrator Jason Brooks, this gorgeous book, available for a very reasonable £16.16, is described as part travel guide, part illustrated journal, and it's completely making me want to leap on the Eurostar this very second. 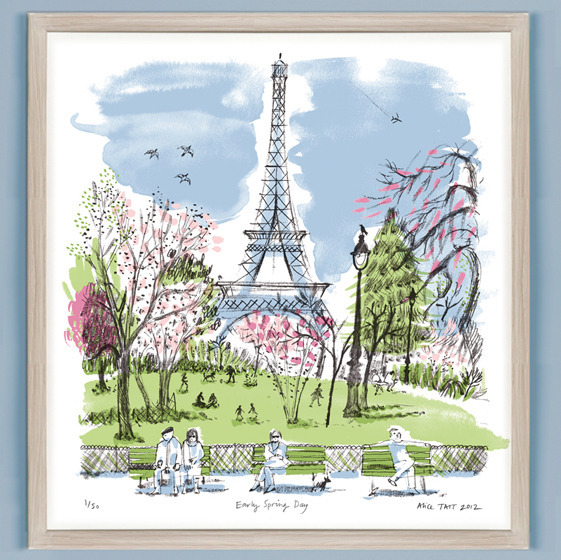 Paris will looking its prettiest (and that's very pretty indeed) at the moment, so grab your baguette and favourite French cliche and let's celebrate the joys of Paris in the Springtime. Alice Tait is sure to agree, if her Early Spring Day print is anything to go by. It celebrates one of the first warm days of the year and is full of charming details, from the locals on the bench to the blossom on the trees. For the £150 price tag, however, you could probably afford to go and experience it first hand. 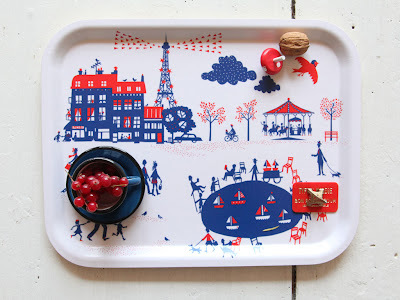 Sian channelled her inner Amelie when she wrote about Famille Summerbelle's Un Dimanche a Paris wallpaper. 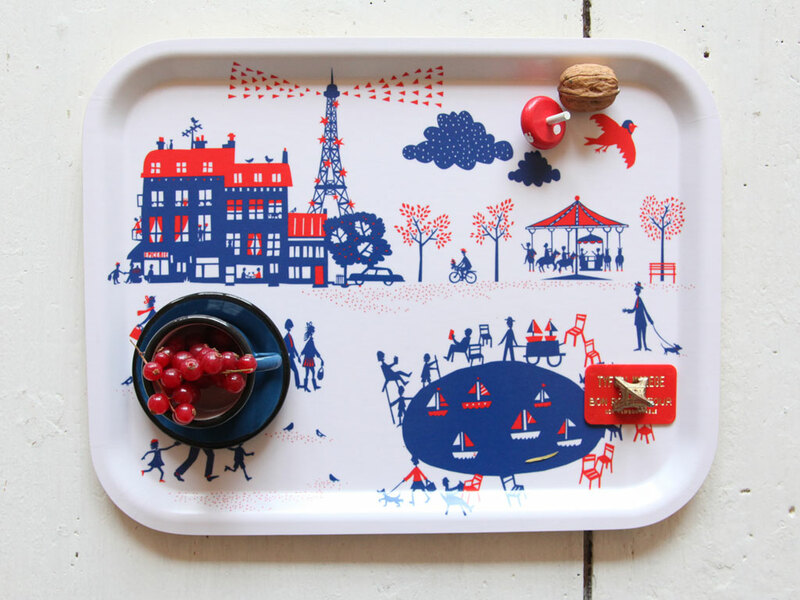 Every bit as enchanting is the Paris tray, reproducing some of the wonderful details of the paper including cute dogs on leads, bicycles, carousels and, naturellement, the Eiffel Tower. And it's only £25. 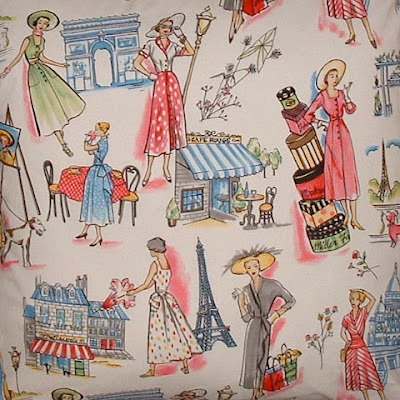 More dogs on leads, more Eiffel Tower, along with the added joy of some stylish vintage mademoiselles on this Springtime in Paris print cushion, available from Twenty Seven Palms. At £14, it's virtually the definition of cheap chic. 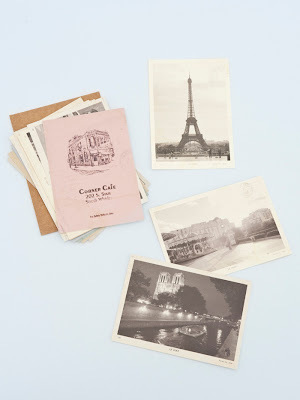 Even more French loveliness with these vintage style Paris postcards, available from Papermash. £8.50 gets you a set of 18 postcards which are decorated with reproductions of black and white photographs of the city, or vintage ephemera. Definitely a case of wish I was there. 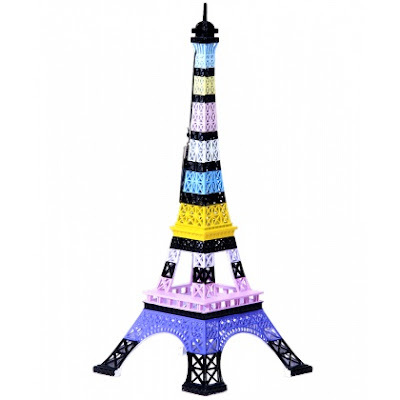 Or for the ultimate in French fancy, how about a replica model of the Eiffel tower? 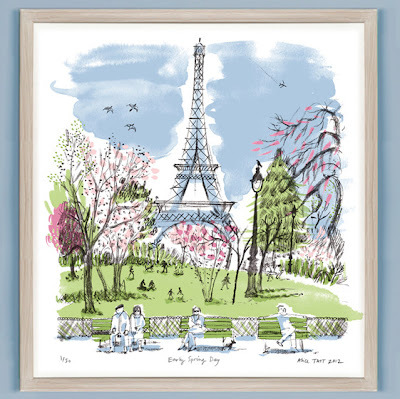 It's by an excellently-named company called Merci Gustave who specialise in designing coloured and patterned versions of Paris's most famous landmark, including the fine spring colours on view here. It's £55 from Culture Label and is simply increasing my desire to get an eyeful of the real thing ... le sigh. 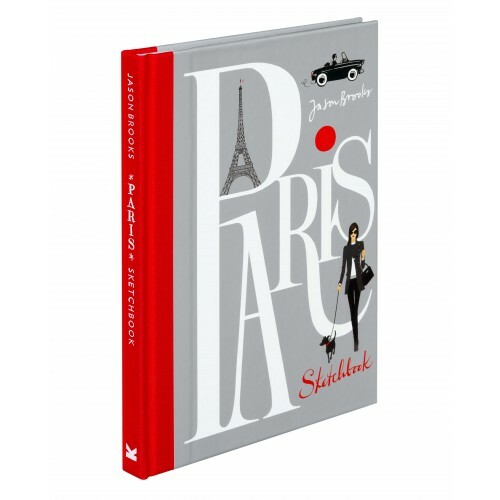 Oh, that Paris sketchbook. J'adore. Love this - especially the sketchbook. I found my own lkittle bit of Paris and this http://www.grahamandgreen.co.uk/eiffel-tower-lamp-with-black-shade is in my lounge!